UPDATE: Service was resumed at 1:20am UK Time (8:20pm EDT) on Tuesday night / Wednesday morning. Users of Apple's iMessage and FaceTime applications for iOS and Mac OS X are experiencing downtime, the company has confirmed. Following a host of complaints from users on social media, the company has updated its System Status website to confirm an issue with both apps, which it said is only affecting "some users"
A number of iMessage users are unable to send messages at all, while iPhone users have claimed that the usual Apple-to-Apple free messaging service is defaulting to regular text messages over cellular networks. Some FaceTime users are reporting that they're currently unable to make calls, rendering the service useless. According to the company, which has not offered a reason for the outage, the issues began shortly around 8 p.m. GMT time on Tuesday (3 p.m. EDT). At the time of writing, the issue has yet to be resolved. 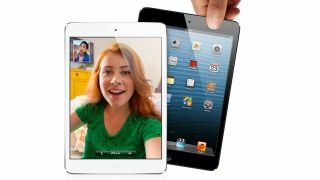 TechRadar has asked Apple for an update and will provide more details when a response is forthcoming.